Amy earned her degree in Economics from U.C. Berkeley before embarking on a ten-year journey around the world, visiting over 45 countries. While pursuing a career as a trumpeter in NYC for over 7 years, she underwent a profound transformation and embraced a 100% living foods diet. Her newfound connection with the natural world led her to Costa Rica where she began homesteading on seventeen acres. She spent the first six years alone on the land and gained a profound new perspective on living in harmony with nature. With her partner, Bill, she is now creating beautiful, elegant and open structures so that others can come and also experience tranquility, close connection with nature and the natural healing powers of the earth. Learn more at her Healthy Homesteads page. According to the 2004 Oxford Encyclopedia of Food and Drink, "the raw food movement owes much to Aris LaTham, a native of Panama. He is considered to be the father of gourmet ethical raw foods cuisine in America. He debut his raw food creations in 1979, when he started Sunfired Foods, a live food company in Harlem, New York. In the years since he has trained thousands of raw food chefs and added innumerable recipes to his repertoire." Aris LaTham spent his early higher education years at the University of Legon in Ghana, as well as New York University, and graduated from the College of Staten Island with a degree in Education and Spanish. He completed graduate studies at California State University Fullerton, with majors in Linguistics and Bilingual Education, where he was a polyglot scholar of Kiswahili, Sanskrit, Italian, Arabic, and Ebonics. As an educator, professor LaTham taught several languages at the secondary school level in New York City and New Jersey. He was also an administrator at the Tanganyika International School in Dar es Salaam, Tanzania. Dr. LaTham was honored as a keynote presenter to the 36th World Vegetarian Congress in Florianopolis, Brazil and in 2005 at the European Vegetarian Congress in Riccione, Italy. Check out his Sunfired Foods page for a world of raw vegan inspiration! 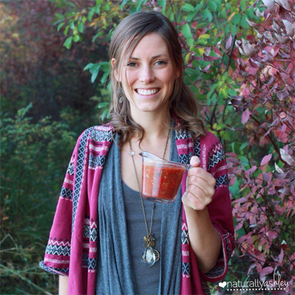 Ashley, aka Naturally Ashley, is a Holistic Health Coach, artist and photographer from Saskatchewan, Canada. She loves to nourish her body with positive thoughts and ripe seasonal fruits. Known for her raw recipes and food photography, Ashley inspires others to enjoy more raw fruits and veggies creating a happier and healthier lifestyle. Ashley received holistic health coach training from the Institute for Integrative Nutrition and has been following a fruit-based diet for over three years. She found the fruit lifestyle after trying a variety of dietary approaches, including the Paleo diet. Raw foods have played a large role in her healing many health conditions. She now feels lighter and brighter, with abundant energy to live her highest truth and spread the love. Learn more at NaturallyAshley.com. Carly has a degree in Neuroscience and is the founder of Live Love Fruit. She currently lives in Manitoba, Canada, with a determined life mission to help inspire people to critically think about what they put in their bodies and to find balance through nutrition and lifestyle. She has helped hundreds of thousands of individuals to reconnect with their bodies and learn self love through proper eating habits and natural living. She loves to practice yoga, dance, and immerse herself in nature. Learn more at LiveLoveFruit.com. Chris is a Registered Holistic Nutritionist, 100% Raw Food Lifestyle Coach, and a competitive raw vegan athlete and amateur skateboarder from Saskatchewan, Canada. As a teenager, after years of poor lifestyle and food choices, he awakened to the connection between nutrition and fitness. He underwent multiple cleanses, read dozens of books, gained knowledge from various natural health practitioners and enthusiasts, and was very fortunate to learn directly from Dr. Doug Graham. Having learned from his experiences, successes, and failures, Chris began helping others understand and embody our natural species-specific diet. His focus is on transitioning to a highly raw, low-fat, raw, vegan lifestyle in the easiest, most healthful and straight-forward way possible. He has dedicated his life to helping others and has served as Head Chef and featured speaker for many of the major raw food festivals around the world. Chris offers several raw recipe books, a free iPhone app, and consultations by donation. Learn more at TheRawAdvantage.com. Ellen loves to share her passion for authentic, heart-centered, healthy living. On a low fat raw vegan path since 2002, Ellen works from her home and yurt while stewarding community on 5 beautiful shared acres in Ann Arbor, Michigan. She happily and successfully unschooled her three children and offers intensive mentoring in one-on-one sessions to those interested in living a truly authentic, alive journey. Ellen has led powerful transformational raw retreats in the Diamante Valley of Costa Rica for the past 5 years, as well as in Michigan and Florida. She has published a book on raw lifestyle, several DVDs, and many articles and interviews. Learn more at EllenLivingston.com. 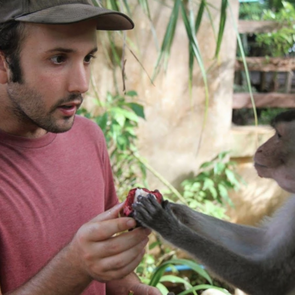 Jake, aka the Durian Ambassador, hails from Newark, California, with a passion for natural health and our fellow primates, traveling the world in pursuit of exotic seasonal fruits (such as red durian), and sharing the powers of the plant-based diet and transformational plant medicines. Learn more on his YouTube channel. Jenée "The Fruity Gypsy" Hallick, author of Rawlicious Magic, featuring more than 40 recipes, has enjoyed a raw vegan diet since 2010. Since attending her first Vipassana meditation course that same year, she has been devoted to her practice ever since. Jenée facilitates Hatha yoga, ecstatic dance, mindfulness meditation, ​and empowering workshops and retreats for women. Contact Jenee via email to learn more. Jimmy is the author of The Raw Food Traveler and has lived on a raw food diet since 2000, sampling some of the world's finest fruits in places like India, Thailand, Borneo, Hawaii and Australia. When he is not busy building websites, he can be found running in the mountains of Costa Rica, swimming in the rivers, frolicking at the beach, lying in the hammock or playing guitar or drums. Learn more at TheRawFoodTraveler.com. Mads and Mikkel are two brothers from Norway who travel the world in search of fruit, interesting places and awesome experiences. After going through some massive changes to their diet and lifestyle, they began looking for a better environment to cultivate health. They soon realized that humans do best in the tropical regions of the world where sunshine and fruit is abundant year-round. They aim to entertain, educate and inspire you as they travel around cultivating health and happiness. Through their website, they offer helpful resources like books, articles, and online coaching for anyone interested in taking their health to the next level with great ape style! Learn more at SweetNaturalLiving.com. Nicolas Dudet, founder of Mastering Freedom, is a vibrant health coach, energetic bodyworker, certified yoga instructor and amateur windsurfer. After experiencing asthmatic symptoms during the first 18 years of his life, he began to question the food he was eating and how it affected his health. Nicolas began researching the causes of dis-ease and health and after learning about the acidifying and alkalizing effects of certain foods, he quickly changed his entire lifestyle to eating exclusively raw foods with an emphasis on fruits. Within a very short period of time his asthmatic symptoms disappeared completely! This freeing experience inspired Nicolas to teach others how to experience optimal health and empower them in all areas of their life…Freedom! Learn more at MasteringFreedom.com. Travis is dedicated to personal and planetary wellness and the subtle relations between people, culture, and nature. His experiences Include: 12+ years living in tropical communities (intentional, indigenous, and/or subsistence farming); 8 years managing and designing organic farms and volunteer programs from Guatemala to Bolivia; 3 years Peace Corps Panama agroforestry program and volunteer support network; university thesis on SocioBiology, Positive Psychology, and Culture of Wellness; 5 years facilitating Hatha Yoga classes. Travis served as social worker with immigrant families, tutor and mentor to "at-risk" youth and peace mediator. He has great passion for the wild and weedy “thrival” plants. Learn more at Regenesis2020. Founder of Ape Living, Zander strives to co-create a thriving and joyful world by living in harmony with nature and sharing solutions. He lives in the Diamante Valley of Costa Rica, where he works as a private tutor, wellness consultant, and Communications Specialist for Upward Spirals, a non-profit regenerative consulting company. Born and raised in the Silicon Valley of California, his sedentary lifestyle and standard industrial diet led to a number of health challenges and injuries. Conventional allopathic medicine only made things worse, however he discovered many effective solutions in natural health practices. 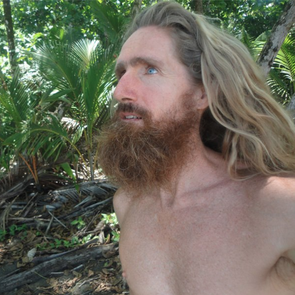 While exploring some of the most holistic modalities (such as the raw food diet, barefoot walking, grounding, mindfulness meditation, yoga, breathwork, bodyweight exercise, sunbathing, re-wilding, permaculture, natural building, and communal living), Zander realized that they all shared a common thread; our fellow apes in the wild have been modeling how to live healthfully for us all along. By understanding our closest cousins, we can better honor our "inner great ape" and enjoy the many benefits of resilient health and happiness. He began developing this concept by leading workshops and retreats, featuring many of the Ape Advisers seen here. Feel free to send Zander a message and stay tuned for his upcoming articles, books, and much more ape fun!